We can help raise the expenses needed for Bella’s operation by purchasing a blog review from her Mom, Mommy Rubz. A blog review from her PR3 blog. The review is consist of 150 words (all positive) with 2 links (home page link) and an image of the header or screen shot of the blog to be reviewed. One link with the blog title as the anchor text and the other link is on the image. Please send Pehpot of Make or Break an email (pehcats@gmail.com) with the url of the blog you want Ruby to review.. and will reply with the url of the post and the paypal id where you can send the payment and if you are generous enough, you can even add more to the $10 price… she will be waiting for your email! 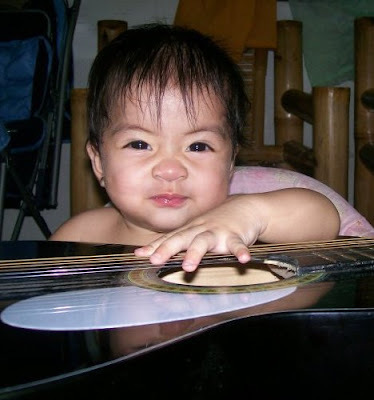 This entry was posted in Uncategorized and tagged baby with hernia, blog review on June 22, 2010 by Yami. I learned about this from Pehpot, too. Spreading the word will surely help. I'll do the same. Visiting here mommy yamz, bumabawi sa absences sa bloghop hehe.